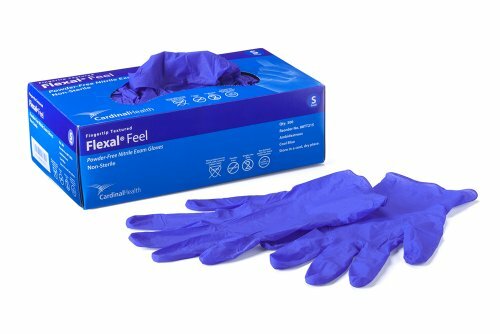 Cardinal Health Flexal Feel nitrile exam gloves provide barrier protection from potentially infectious materials and offer enhanced tactile sensitivity over traditional nitrile gloves. These gloves offer an economical alternative to latex and other nitrile examination gloves. Tested for resistance to common hospital/lab chemicals1 1Caution: Gloves used for protection against chemotherapy drug and laboratory chemical exposure should be selected specifically for the type of chemicals being used.